3 Performances Sold Out – Saturday Matinée tickets still available! In an age where pop stars and divas face unrelenting scrutiny, a look back to one of our strongest, most independent female singers is due. 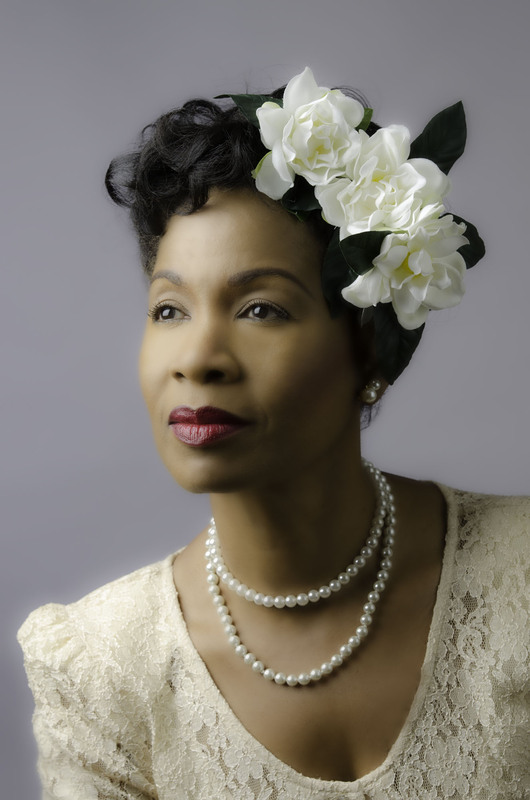 Carbonell nominated actress and acclaimed jazz artist Paulette Dozier will star as Billie Holiday in Lady Day at Emerson’s Bar and Grill, playwright Lanie Robertson’s portrait of the legendary jazz singer in performance four months before her death. The play, which will be produced by the Boca Raton Theatre Guild, will run for four performances only – April 27-29th at the Willow Theatre in Sugar Sand Park. In Lady Day, the iconic jazz singer reflects on her life, loves, tragedies, and triumphs in a powerful monologue interspersed with music from her timeless songbook. Holiday’s saga will resonate strongly with modern day audiences – recent events, including the heartbreakingly wasted careers of such talents as Whitney Houston and Amy Winehouse, echo Holiday’s sadly familiar story of troubles with narcotics, financial exploitation, and in Holiday’s case, sexual abuse. Lady Day at Emerson’s Bar and Grill will be directed by Genie Croft. Lady Day at Emerson’s Bar and Grill will run April 27, 28, and 29th. Performances are: Friday at 8:00 p.m., Saturday at 2 p.m. and 8 p.m., and Sunday at 2:00 p.m. The Willow Theatre in Sugar Sand Park is located at 300 South Military Trail in Boca Raton, just south of Palmetto Park Road. Tickets for Lady Day at Emerson’s Bar & Grill are $15 and are on sale now. Tickets can be purchased at the Willow Theatre Box office: 561-347-3948. Please note: Tickets available for the Saturday, April 28th, 2 pm performance only. The Boca Raton Theatre Guild is a not-for-profit organization dedicated to producing professional productions and advancing the art of theatre in the South Florida community. For more information about Lady Day at Emerson’s Bar and Grill, the Boca Raton Theatre Guild, or Paulette Dozier please visit www.brtg.org, www.paulettedozier.com , or contact Carol Kassie (ckassie@gmail.com/561-948-2601).